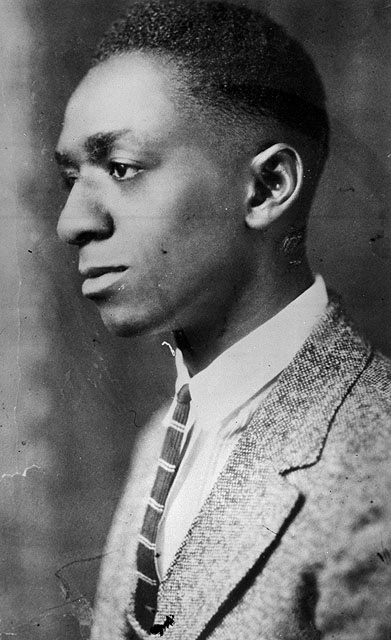 Coleman broke through the headwinds of racial prejudice as a barnstorming pilot at air shows in the 1920s. As a pilot, Bessie Coleman quickly established a benchmark for her race and gender in the 1920s. She toured the country as a barnstormer, performing aerobatics at air shows. Her flying career, however, proved to be short-lived. She died in a plane crash in 1926, her untimely death coming just a year before Charles Lindbergh made his historic transatlantic flight in the Spirit of St. Louis. For the African American community, Bessie Coleman became an enduring symbol of how a talented and highly motivated person could seek out a career in aviation. 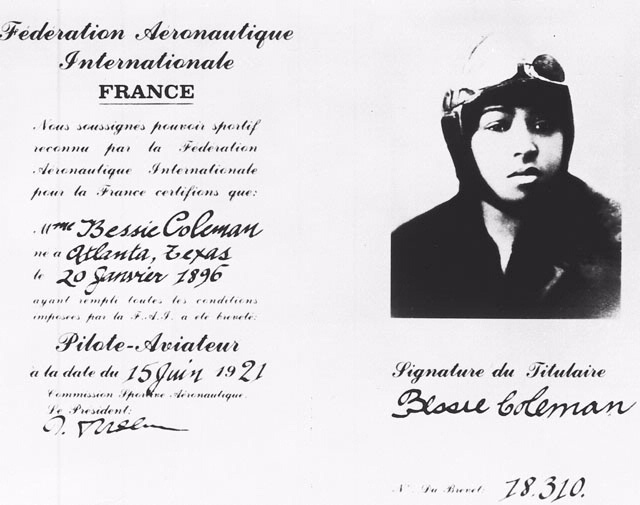 Why did Bessie Coleman learn to fly in France? Because of her race, no one would train her in America. So, she learned to speak and write French, traveled to France, and earned her pilot’s license. 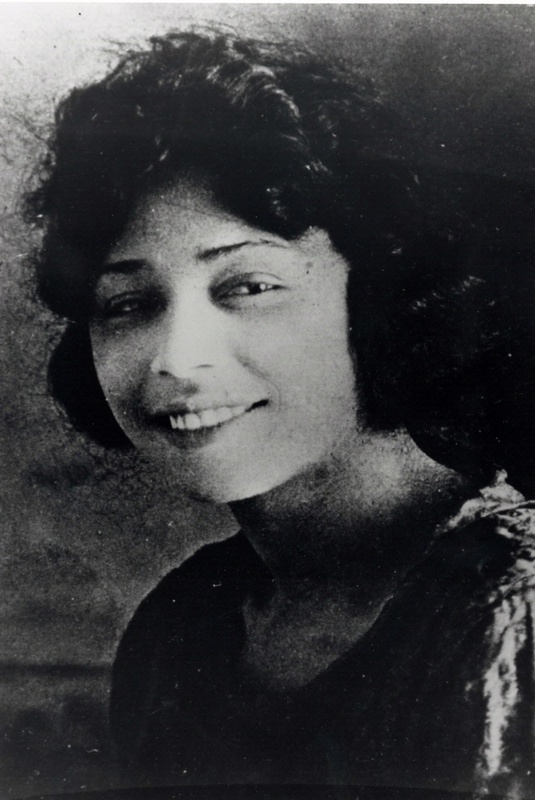 In 1921 she became the first licensed African American pilot. 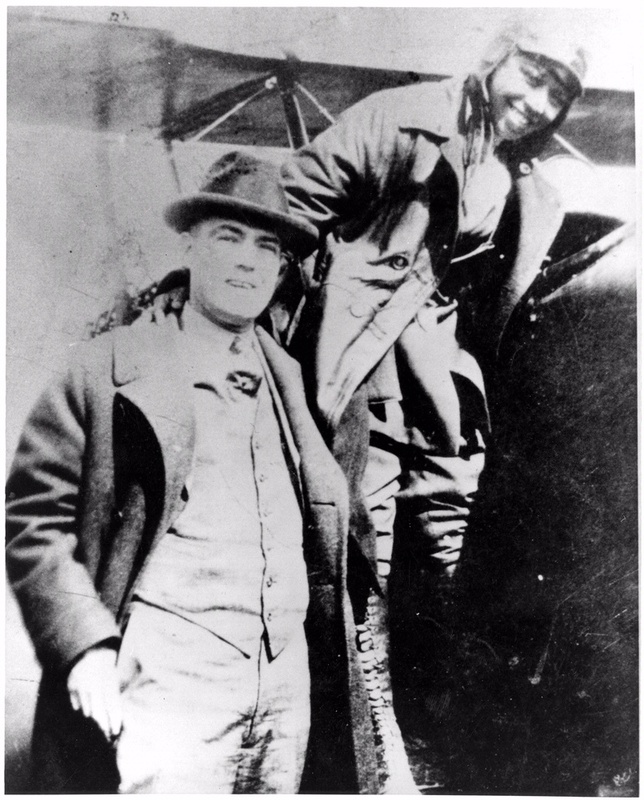 William J. Powell established an African American Flying Club in the 1920s, which he named for Bessie Coleman.